It is great to be young and excited and in a constant hurry. Immediate gratification and then more, its like that y’all. It is even better to be old and slow. Sublime satisfactions well worth the wait. I rushed through my 20s, 30s, and 40s, paced the 50s, now enjoying my 60s. A life’s pursuit of running allowing vim and verve for all manner of interests. And the time to explore them fully. What has me waxing wanderlust? Driving across seven states in five days, a good way to see our regional America. Nebraska, Missouri, Kansas, Oklahoma, Texas, New Mexico, and Colorado. Eschewing major highways, rewarded with Real. Kingfisher, OK- birthplace of Sam Walton- streets paved with gold, well timbered houses, a diamond sticking out of the endless and ever red clay. Indiahoma, my dad’s hometown, population 300. My sister there too. You see every star at night. Just outside Ft. Sill, Native Americans only outnumbered by mesquites and cacti. Real America. The drive across the Texas Panhandle, getting to sing “Amarillo By Morning” to my sweet Linda, wide open skies going straight to the heavens. Filling up and “800 miles to empty” emboldening even the most rural excursion. Into Springer, New Mexcio, first time there, seeing my brother. The hat trick of my living Lindgren side. Dad 88, Cindy 62, Jim 60, good genes up top. To Canon City, Colorado during the height of off season. Just the locals, well mixed plus or minus my age, quite mellowed. Final leg eleven and a half hours straight including the High Plains Highway, as scenic and treacherous a stretch of road you’ll find. And then from York to Waterloo a pea soup fog, frightening. 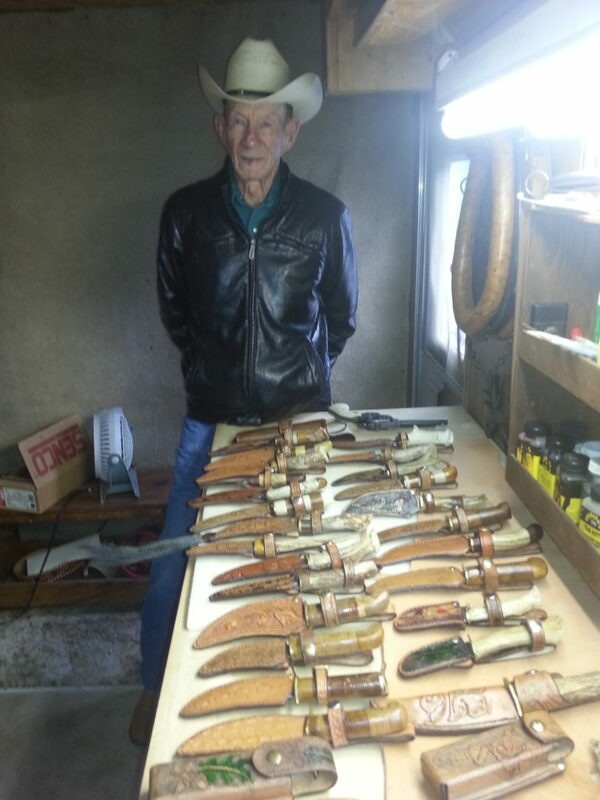 This 88 year old Oklahoma Cowboy, a most remarkable and surprising artist. Hand crafting some Real Americana for the genre. 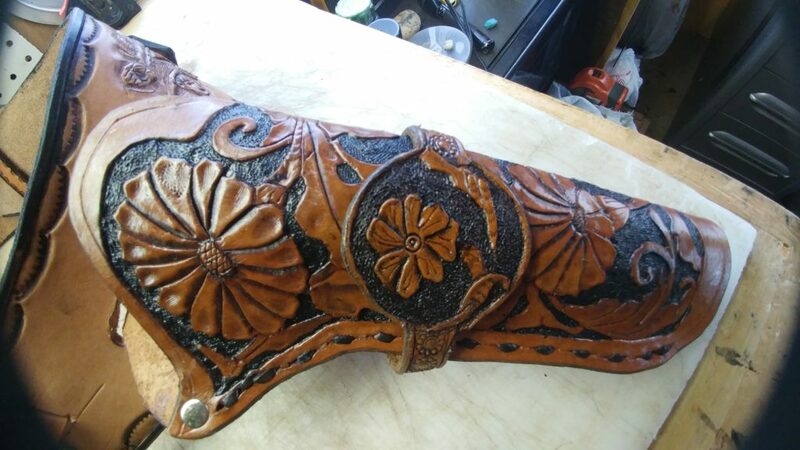 Working on holsters right now. 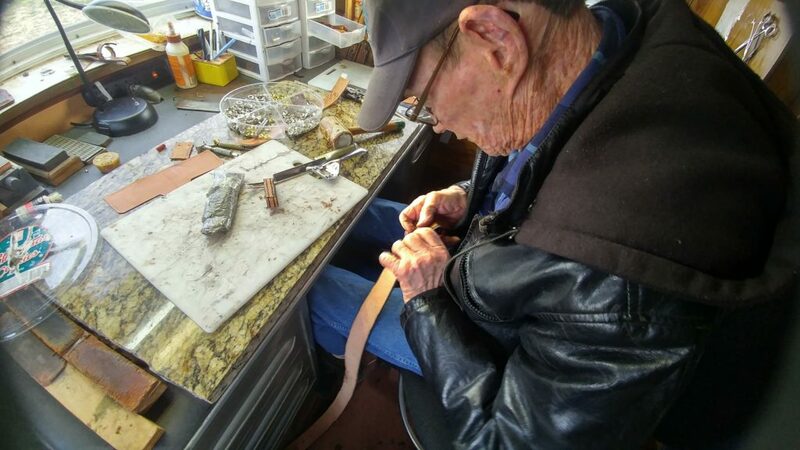 He cuts and hand tools each piece from specific leathers. The intricate and fine detailed work of this pattern is amazing. 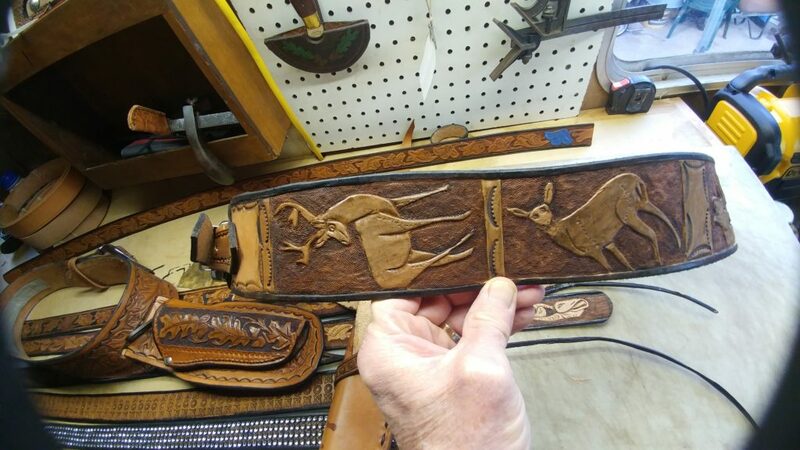 Notice the hare and the bear on the holster on the right. Animals making feature appearances throughout his work. 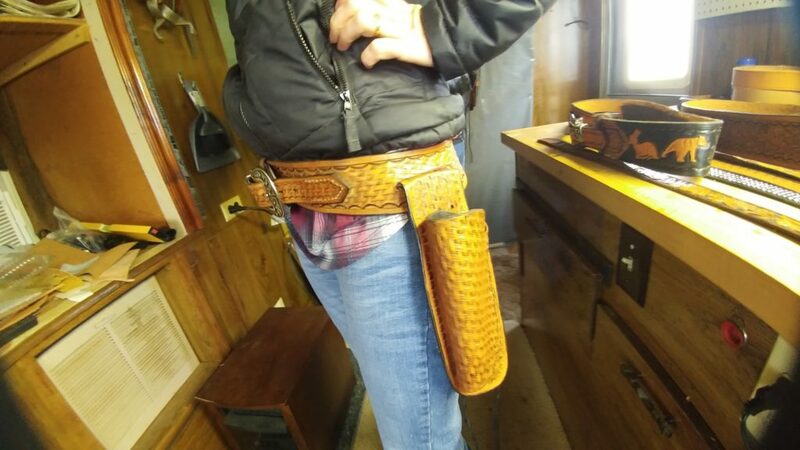 Each holster takes approximately a week of patience. 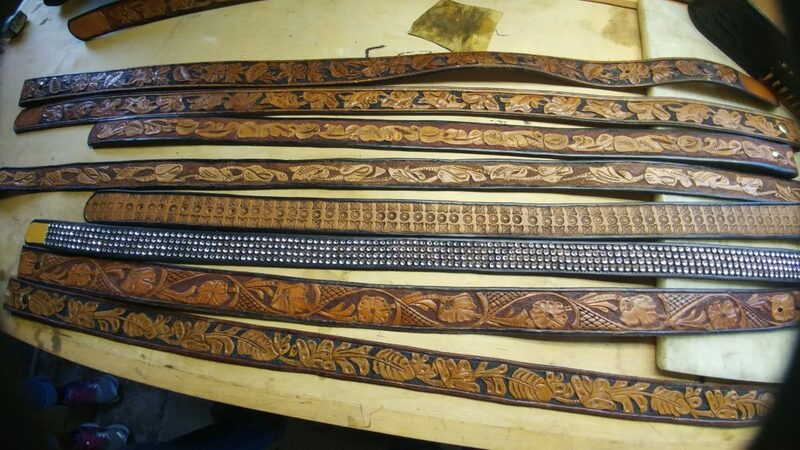 He also makes belts, each crafted with the same eye and hand. This entry was posted in Uncategorized on February 5, 2019 by runguru.